So much of what makes Marine Servicenter so great, is our crew! 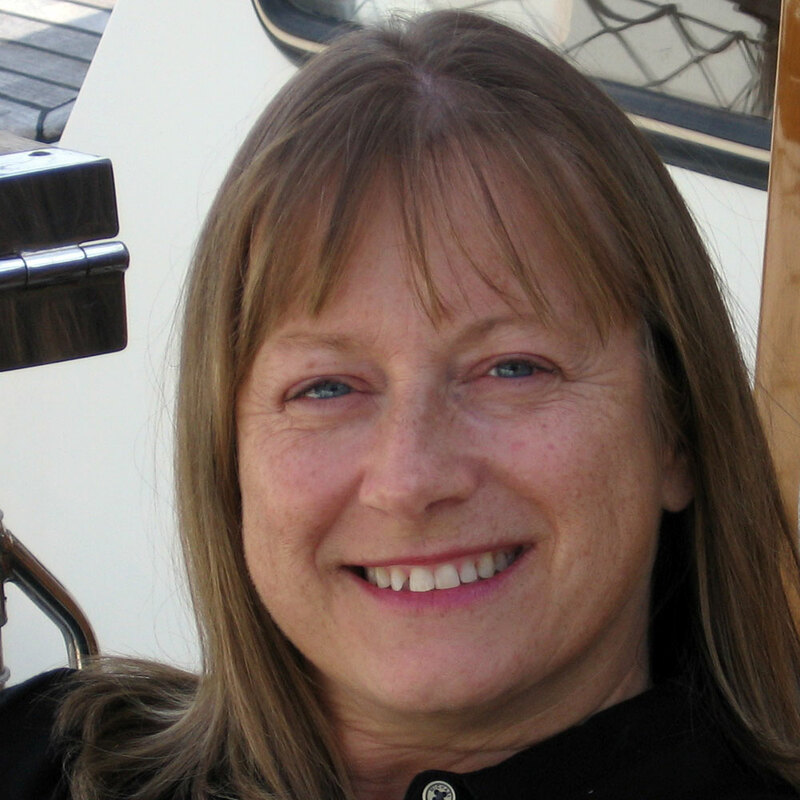 Jeanna Rard has been with Marine Servicenter from the beginning. 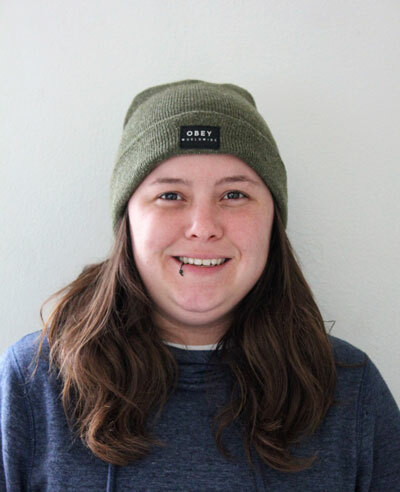 Jeanna oversees all office and financial operations for both the repair yard and the brokerage. She has owned and operated sailboats since 1972, and has cruised Mexico, the West Indies, the Caribbean, the South Pacific and Alaska. 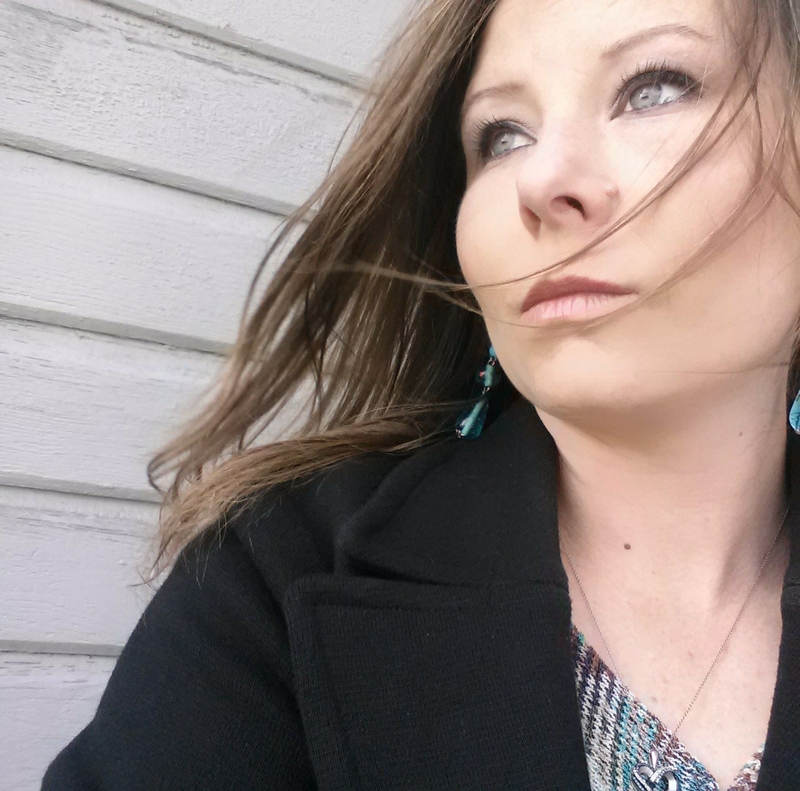 Jeanna works from our Seattle office. 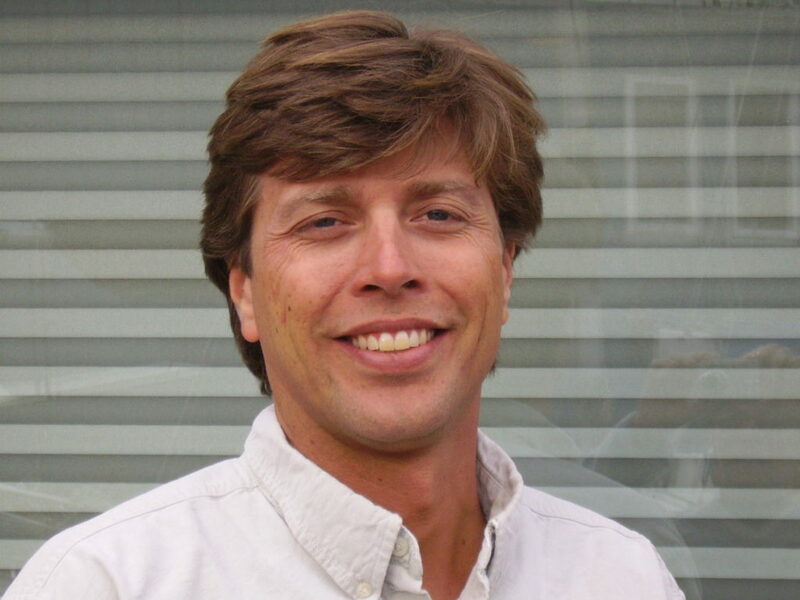 With over 25 years of experience in the boating industry, Dan brings a wealth of knowledge to the sales department. His extensive boating and marine industry experience combined with his degree in Aerospace Engineering and Naval Architecture studies gives him good balance in many facets of boat buying/ selling, handling, design and construction. 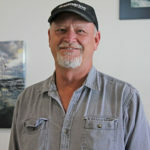 Dan has a passion for boating and has sailed most of his life. He holds several American Sailing Association instructor certifications and had a US Coast Guard Masters license. From daysailing to bareboat chartering to performance racing, Dan has taught hundreds of adults and juniors the sport of sailing. 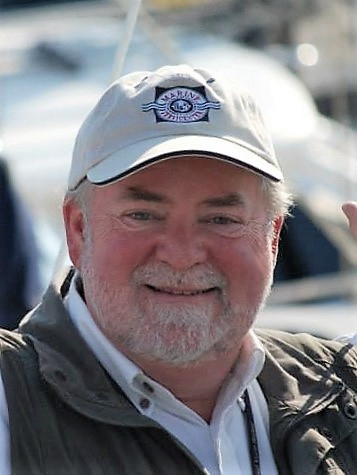 He has organized numerous sailing events, cruising functions, race series, and is currently the chair for the Mark Meyer Opening Day Regatta at the Seattle Yacht Club. Dan and his wife Lisa are both sailing enthusiasts. Besides campaigning their J/22 “Bullet” throughout the race season, they enjoy cruising and chartering around the world. Dan has lived, worked, and sailed throughout the Caribbean, Midwest, New England, and the Pacific Northwest. He has extensive charter, racing, and cruising experience on a wide variety of yachts. Boating in the Northwest became more than just sailing for Dan when Marine Servicenter became the American Tug dealer in 2004. Dan’s experience with trawler style powerboats includes customer training and several deliveries on American Tugs and other trawlers. Most recently Dan and his wife Lisa cruised an American Tug 435 from Sitka to Ketchikan Alaska and then later from Sullivan Bay to Anacortes. 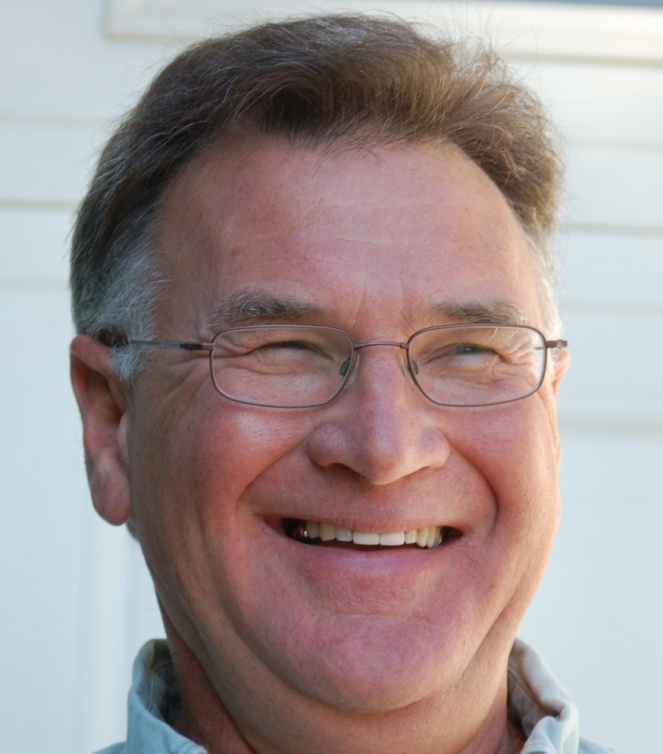 Dan has been a member of the Northwest Yacht Brokers Association (NYBA) since 2000 and has been a NYBA Board Member since 2009 moving to the Executive Committee serving as Secretary in 2010 and Vice President in 2011 & 2012. Dan is also the chair of the NYBA Grow Boating Committee. Past NYBA committees have included the Boat Show Committee, Joint NMTA/ NYBA Sailing Committee, and Grow Boating Committee. 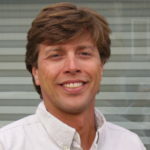 He is a Certified Professional Yacht Broker (CPYB) since 2004 and has been recognized by Jeanneau, Tartan, & Hunter on several occasions for outstanding performance. Dan is an industry leader attending International Dealer meetings for several brands, Regional, National, & International Boat Shows, and has many contacts in the marine industry nationwide with manufacturers, dealers, and brokers to compare experiences and share knowledge with. Dan is happy to share his boating and professional knowledge to help customers find the right boat to fit their particular needs. 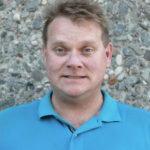 Visit Dan at either the Marine Servicenter Seattle office or meet him in Anacortes where he spends a lot of his time as well. Send Dan email at dan@marinesc.com. Jeff has been passionate about boating from an early age, learning to sail on the shores of Lake Erie at age 14. This love of the water, has led to years of racing dinghies and keel boats of all sizes in Ohio, Florida, and the PNW including trips up & down the inside passage to Alaska. 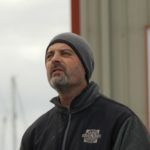 Over the years Jeff has owned and lived on several sail and power boats and understands the importance of finding the right boat to fit one’s lifestyle. He has cruised throughout the Pacific Northwest, the Florida Keys, the Bahamas and Caribbean. 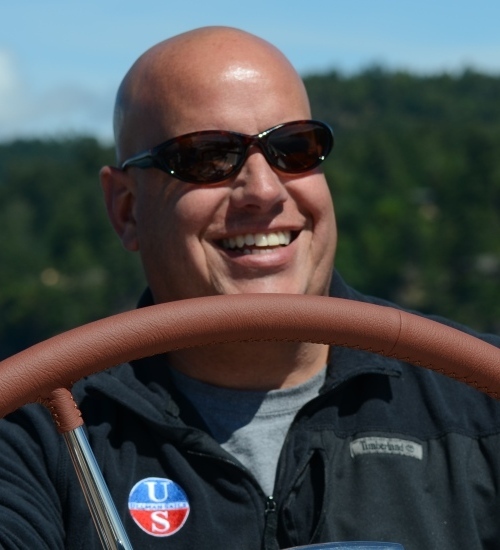 After 18 years in management in information technology, Jeff decided to follow his passion for boats and help others find the exact boat to ignite their own dreams on the water. Jeff has been selling boats with Marine Servicenter for over 10 years and has been a Certified Professional Yacht Broker (CPYB) Since 2009. I first sailed in 1971, my aunt and uncle had four daughters and they bought them a 14 foot flat bottom plywood sailboat. They would go out for smooth sailing in light breezes on mellow summer days. One week I had a few of my high school buddies out to our summer cabin and had the offer to take out that sailboat. At the time I was more into motorcycles and water skiing with the exhilaration of speed, not much interested in sailing. So off we went hearing and feeling the craft glide thru the water as the wind grew and we learned the meaning of body ballast. On the fourth crossing we were walking the hull up or her side, seeing how close we could come to letting water enter the cockpit. At this point we were laughing and having a ball. Then it happened, we went over and into the drink! After the laughter and enormous enjoyment from the thrill of riding on the edge, I was hooked. With a lifetime of boating experience, literally, my folks picked up their first boat at Shilshole’s Ray’s boat house, I was four. So now, with over 40 years of experience boating in the Northwest waters. I have crewed on yachts to 100′ and owned several boats both power and sail with my current vessel a Dutch built offshore cruising ketch. I am a Certified Professional Yacht Broker and member of the Northwest Yacht Brokers Association. I held a captains license with the US Merchant Marine, along and with years of power and sailing experience in the Northwest, California, Mexico and Hawaiian waters. Over twenty years of management and consulting experience in the information technology field where I was awarded the prestigious IBM Presidential Award of Excellence. The Admiral and I decided to focus on a career path enabling me to do what I enjoy, being on the water and helping others get there as well. Whether building an option package for your next dream boat, arranging overseas deliveries or helping with a boat search to find the best boat to fit your needs. I can be reached via email at tim@marinesc.com, my cell at 206-276-5079 or you can find me at our Seattle Sales office on Lake Union. 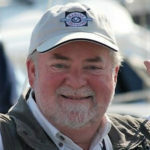 Marine Servicenter welcomes Patrick Harrigan to our team of professional Yacht Brokers. 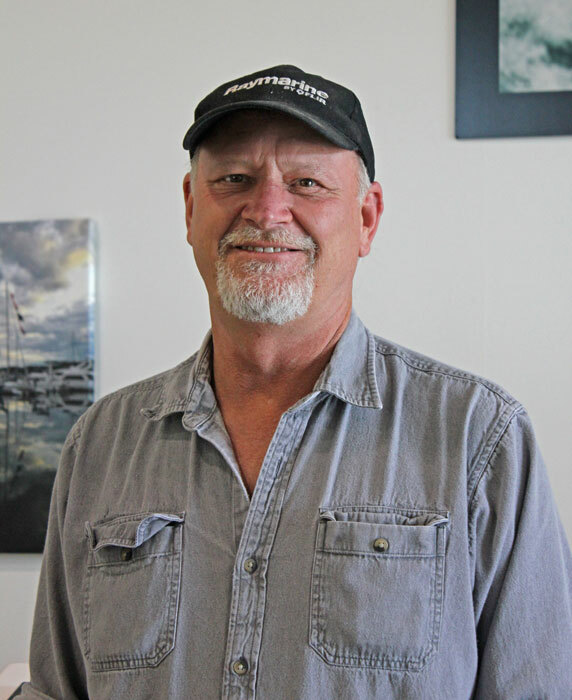 Patrick will be working out of our growing Anacortes Sales office at 700 28th St. in Anacortes with dedicated “Boats for Sale” Dry Storage right out his office door. Patrick comes to us after spending the last four years cruising the Sea of Cortez and Pacific Mexico with his wife and young son aboard their Lagoon 380 Catamaran “Just a Minute”. They covered over 12,000 nautical miles together on their adventure and “lived the dream”. Prior to living his dream of cruising in Mexico, Patrick was a corporate executive with a global construction material supply company. 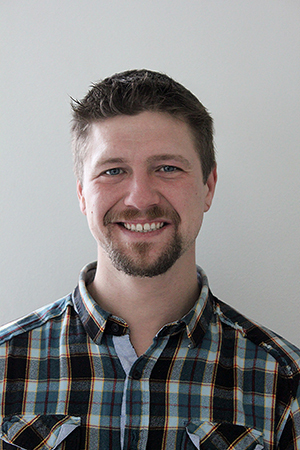 Patrick, a Washington native and graduate of WWU has spent his entire life around boats, both power and sail. 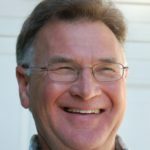 He has over 30 years experience sailing and fishing in the Pacific Northwest, Alaska, the Queen Charlottes and south to Mexico. If your thinking of going cruising or just looking to play in local waters Patrick’s experience can help you make that dream come true. Contact Patrick at patrick@marinesc.com (360) 293-9521. 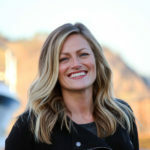 Marine Servicenter is pleased to announce the addition of LesleyAnne Moore as a Yacht Broker in their Anacortes Office. LesleyAnne comes to us from beautiful Portland OR. where she spent her weekends boating, rock climbing, and backpacking all around the Pacific Northwest. When LesleyAnne and her husband first met, they shared a love of the water and a dream of exploring the world. So when the opportunity to rescue a long forgotten Grampian Classic 31’ presented itself, they didn’t hesitate. Summer weekends were quickly filled with sanding, sailing and exploring the boating lifestyle. But it just wasn’t enough for the couple. They threw caution to the wind, moved aboard a Formosa 41, and spent the next 4 years knee deep in a complete refit. But the ocean was still calling and the project list kept growing. It was time to take the plunge. In a matter of weeks, they sold both their home and the Formosa 41’, stumbled upon their dream boat, a Formosa 51’, and sailed into the sunset. Luckily for us, they set course for Anacortes and quickly fell in love with the San Juan Islands. 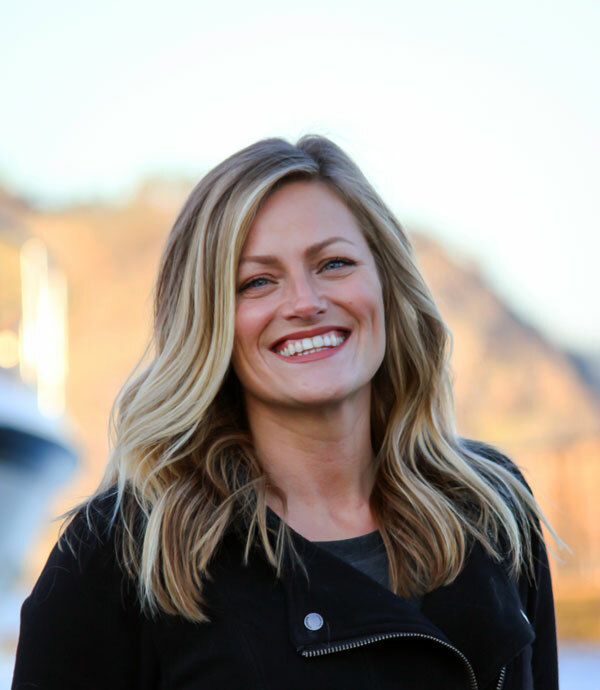 Wanting to share her passion for the water and boating, LesleyAnne decided to leave behind corporate life and focus instead on helping others navigate their way to the right boat for exploring their own dreams on the water. So whether you are taking off for distant shores, purchasing your first boat, or selling your current vessel, LesleyAnne will guide you through the entire process and make it a pleasant and rewarding experience. Trever Green has been working at Marine Servicenter for three years, and has recently been promoted to managing the 28th Street store. 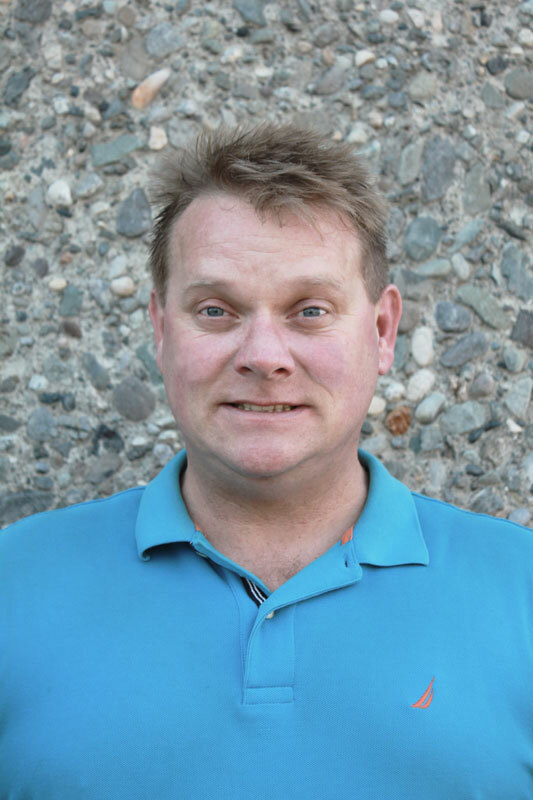 Trever is an ABYC electrician, attended marine technology courses at Skagit Community College, and spent twenty years in the Navy Reserves. He loves fishing and crabbing. 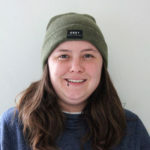 Come by our Explore Store at 700 28th St. in Anacortes and say hi to Trever! He’s there to help you! I was born in Bellingham and have lived in the Puget Sound all my life and can’t imagine living away from the water. (A Northwest classic!) I am truly happier on water than land. A love of boats and sailing lead me to a degree in Marine Maintenance Technology from Skagit Valley College in 2005, the same year I came to work at Marine Servicenter. I currently live on a 1968 Uniflite cabin cruiser (another Northwest classic!) and can be found on the water anytime I’m not working, either racing sailboats all around the Puget Sound, kayaking or just cruising around Fidalgo Bay on my 12’ Butterfly Scow. The best part of my job is meeting and talking to boaters from all around the world who come to visit the beautiful San Juan Islands, especially when I can help them find just the right part (or toy!) to make their boating adventure easier, safer, and ultimately, more FUN! Because fun is what boating is all about!! Stop by the Anacortes yard and say “hi”! Steve’s love for everything that floats originally came by way of windsurfing. A transplant from Oregon, Steve spent his youth sailing, kayaking, fishing, and rafting along the pristine waters of Cascade Lakes and the Columbia River Gorge. While in high school and college he ran the Cascade Lakes Sailing School as a sailing instructor before spending over 20 years competing on the National Windsurfing Tour – excited by the current evolution of the new RS:X fleet. Steve comes by his new position at Marine Servicenter honestly, laughing about his “boat problem.” Along with his wife, Megan, he has purchased more than a dozen aging boats over the years ranging from 30-56 feet, he has become intimately familiar with strengths of weaknesses of various designs, materials, systems and best practices along the way. From broken tillers and twisted furlers to lightning strikes or runaway diesels, Steve’s slips of revolving boats have supplied him with a wealth of random knowledge (and fun stories) that he’s always happy to share around the yard. Pulling masts and grinding blisters – it’s the story of his life. 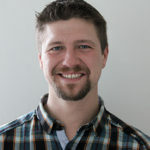 Professionally, Steve shifted from a career in teaching during the height of the Dot.com boom to help launch a number of successful e-commerce, software, and marketing startups. He then spent almost a decade as a top operations executive for a humanitarian non-profit organization in Michigan where his love for cruising was sparked in the “Big Lake” where his summer sailing quickly evolved from a Catalina 30 to a C&C 40 before eventually parting ways with his beloved-but-leaky CT-41. Upon returning to the west coast in 2009 Steve and Megan started a nationwide advocacy campaign to promote the importance of local business among small communities. Spending as much time on the road as they did at home, the vagabonds fell in love with the simplicity of living aboard and earned their USCG Captain’s Licenses while spending their weekends “messing about in boats” like their Hans Christian 34, Catalina 36, West Wight Potter 19, Matthews 56, Huntingford 45, or Gemini 105, “Manonash” from which Steve operated exclusive week-long charters among the San Juan Islands as captain, cook, and shore guide. After selling their companies, Steve and Megan took a much belated “gap year” to explore the Sea of Cortez aboard their Pearson 36 Cutter, day-sailing their dogs ashore aboard their highly-customized Portland Pudgy. 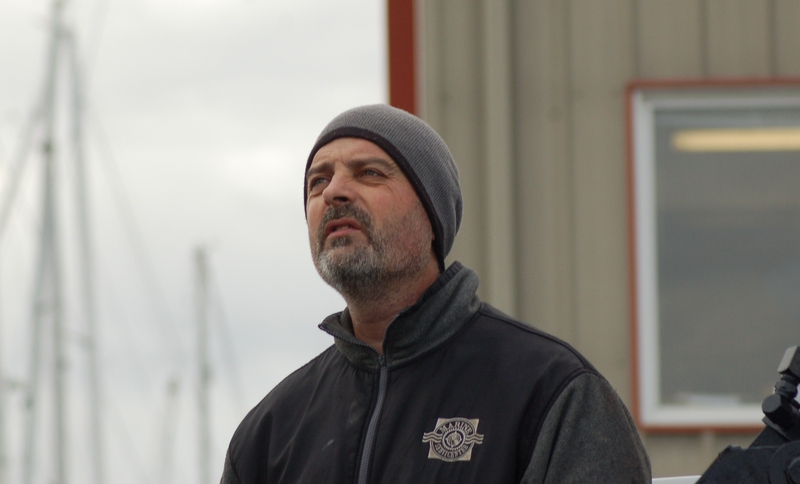 Unable to stay away from the beauty and community of the Salish Sea for long, Anacortes was at the top of Steve’s list of places to “settle down” and find the right marine-minded team to work alongside. By serendipity or fate, Marine Servicenter was his first call and Jim Rard was quick to offer him a spot among the close-knit, hard-working family. When not doing everything in his power to make sure customers, staff, and partners are equally excited to be working with MSC, Steve and Megan can probably be found banging away (or cruising) aboard their Endeavour 42, “Titpno” – after all, as the saying goes, Tomorrow Is Promise To No One.